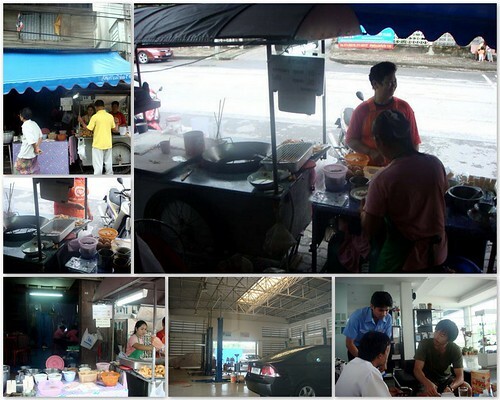 South Thailand: Satun, Pakbara, Honda – That’s not my Name! A quickie, street-side Songkhla breakfast of rice porridge(congee) with condiments and mini fried bread sticks(yu tiao) before continuing eastwards to Satun via Haadyai. The last province of the Western Andaman Coastline before reaching Malaysian Border namely Satun is at the tip of Thailand’s Southern Region at the distance of 973 km from Bangkok. Satun has the area adjoining Trang and Songkhla with the north and the east of high plateau having Sankharakhiri Mountain Range as the boundary between Thailand and Malaysia. 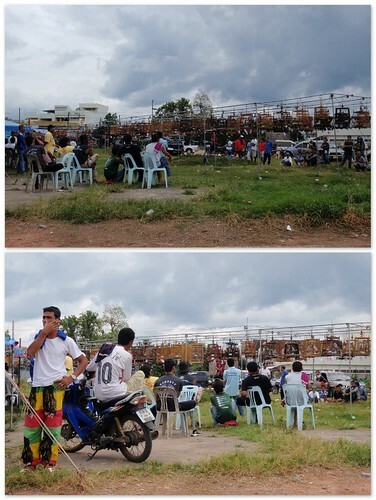 The name Satun is a Thai corruption of its original Malay name, Setul (santol, or wild mangosteen tree)! breakfast is on every street corner.. later, Cumi tries to get our car fixed at Honda..
NongNee Restaurant.. best snails in the world! Back to NongNee… This had to be one of the best tasting Thai restaurants we have been before. The local recommendation did not let us down and we have definitely tasted what the locals deemed as quality. 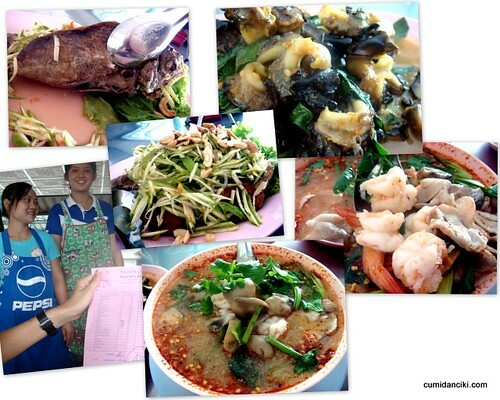 Tom Yam was super chili spicy, herbs-spices perfectly blended and seafood plentiful. Let me stress SPICEY again… we were sniffling, our mouths, lips, tongue burning and the table littered with sweat drenched napkins! The other two dishes, fried snails with basil and fried sea fish with young mango, had an amazing taste as well. 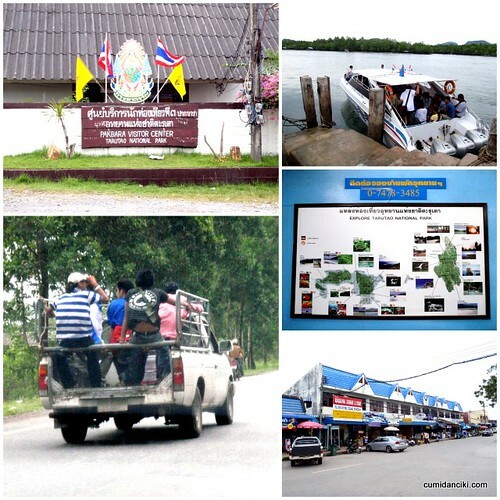 In the tour season starting from November, a lot of tourists like to visit Satun. You will see many boat services and tour packages to Koh Tarutao, Koh Lipe and Koh Buloan around the year end tour cycle. Pakbara Pier is the center of Satun Sea Tour and caters particularly for these island tours. Another thing to note is that Satun has mainly a Muslim community and being so near to Malaysia, its no surprise that many of them speak Malay. A quick drive around Satun didn’t pique our interest – I’m sure if we had a local showing us around, it would be a lot more interesting – so we headed to Pakbara. We contemplated doing an overnight trip to Tarutao National Park and/or to spend a relaxing time at a Ko Lipe but unfortunately, the boat seats were sold out and possibly just the same for the resorts. That’s what you get for having an open itinerary without pre-booking. Just as Willie Nelson sings “On the road again…”, we continued our journey north, through Trang. bird watching me, watching you.. watching me.. Along the way out we noticed the Thai’s obsession with birds. These people have been watching caged birds, we assume for hours. A pastime which we cannot grasp at all. What are they looking out for? 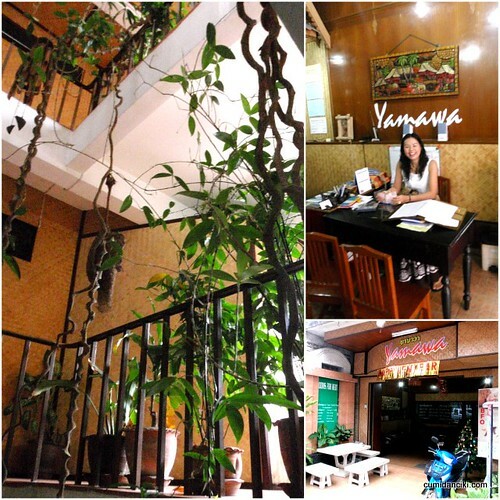 Arriving at the sleepy town of Trang, we checked out several guesthouses and hotels then decided on a Lonely Planet favourite, Yamawa guesthouse. Basic, simple and the friendly smile of the lady manager won us over. It was a one night stopover before heading out, early morning, to Krabi. Trang encompasses an area with a 120-mile coastline as well as 47 islands stretching from the lower Andaman Sea to the Straits of Malacca. Trang is the one of the southern provinces (Changwat) of Thailand, at the western shore of the Malay Peninsula to the Andaman Sea. Neighboring provinces are (from north clockwise) Krabi, Nakhon Si Thammarat, Phatthalung and Satun. The provincial capital of Trang was once a bustling port, attracting Chinese settlers at the turn of the 20th century. Honestly speaking, there isn’t much to do in Trang. Nothing much unusual caught our attention or our taste buds that evening. There was a lot of cars and bikes zipping about but not much action. We walked around a street market which we didn’t take any pictures of… Drove around a bit more then decided to head back to the guesthouse for beer and catching up with some backpackers from Germany, before retiring early to dreamland. 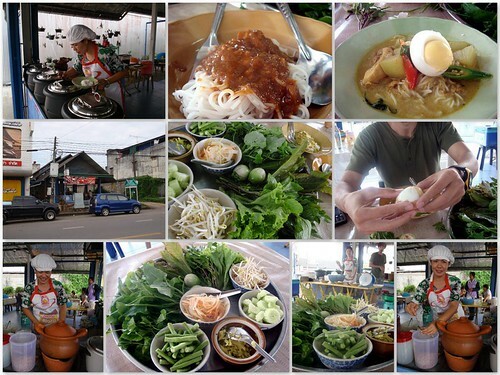 Our best food experience in Trang was the next day’s breakfast before the journey out. of town The smiling lady below owns the stall which is surrounded by a lot of potted plants and street shrubs, which we gathered were herbs for her dishes. She had 4-5 pots of different warm, sweet to savoury gravies, which a diner can choose to pour over a cold vermicelli typed thai noodles. 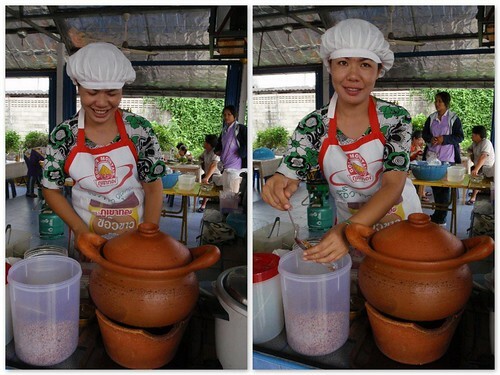 Again, due to communication breakdown, we couldn’t find out what were the ingredients in the different gravies. We think 2 of it were fish based. Southern Thai Laksa Noodles maybe? On each table was a platter of pickled vegetables, fresh raw vegetables-herbs (lettuce, cucumbers young brinjals, weeds, long beans, bean sprouts, bamboo shoots, pegaga, banana flower…..), – also referred to as ulam (in malay language) where diners can pick their choice to go with their dish. All in all, it was a very healthy meal – flavorful, not too spicy and not forgetting a lot of fibre to help your digestive system. Next articleMerry Christmas 2009 ! it was so spicy i nearly died.. and THAT’s saying a lot! wow, road trip to krabi?? yar.. looking back, cannot imagine we made it that far:P cumi’s the hero la.. can drive and drive .. no problemo! Ooooh me like Siamese Laksa! With lots of Vegetables! When did you even go away ar? All I remember is London and Shanghai! wot?!! u mean u didn’t notice we were gone?! chis!! just be careful along the way ok? Me LIKE your new layout!! via, yes it really is the best local place in town.. eating is believing! those people are not bird watching-it must be a bird’s singing competition. ooh the food looks good! Communication breakdown always result in eating whatever they serve you!